Home » Financial Tips » Money » Cool Things To Do For Extra Cash! Cool Things To Do For Extra Cash! There’s every chance you’ll have some old things lying around your house. You never use them anymore, so what’s the point in keeping them? Instead, you should be clever and start making some cash. Round of all your old stuff and sell it here http://pages.ebay.co.uk/help/sell/selling-basics.html. It’s quick and easy to do, and you’ll make money. All you have to do is create an account, take pictures of your items, then list them. You can put them up for a ‘buy it now’ price, or let people bid for them. When they buy it, you package it up and send it to them via a courier service. If you have some spare time on your hands, it’s time to make the most of it. You can start earning some extra money by getting a part time job. You won’t have to work long hours every day, just a couple of shifts here and there. Some people work on the weekends to give their wallets something extra to enjoy. There are plenty of part-time jobs on offer, like this one http://www.jobapplicationcenter.com/department-store-job-applications/family-dollar-application/. If you look around, you’ll find similar ones, department stores are hiring this time of year. Work for a few months during Christmas and you could have extra cash in your pocket. Blogging has become a very good source of income for some people. If you run a successful blog, you could make lots of money. It could, potentially, be a full time job for you. But, if you’re looking to make something extra on the side, it’s still a worthy idea. Start a blog in your spare time and get writing about something you love. Promote it well and get people reading it. Then, you can monetize your blog by placing ads on it! The more viewers you get, the more money you’ll make from advertising. It’s an ingenious way to make money while having fun too. Speaking of fun ways to make money, it doesn’t get much better than starting a YouTube channel. YouTube has become massive; it’s now a genuine way to earn money. Many people are starting businesses via this site! You can create a channel and start uploading content. Get enough people watching and you can start earning money. YouTube will make you a partner and start putting adverts on your videos. It’s the same as it is with a blog, the more views you get, the more money you make. An awesome thing you can do to get some extra cash in your spare time! 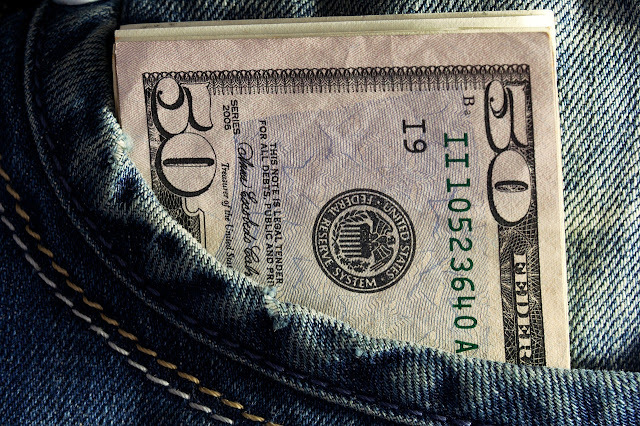 So, if you’re short on cash and want to earn more money, try some of these ideas. If you’ve got a lot of time on your hands, you can do a few of these things at the same time!